Harry Winston Review - Is the enormous price tag worth it? Harry Winston is a global jeweler with retail outlets in forty different locations around the world including the original in New York, as well as London, Paris, Geneva, Tokyo, Shanghai, and Hong Kong. They are truly on the international scene, which largely happened following Harry Winston’s death and the legal battle that followed over who would take charge of the company. That said, they are American born and bred, and their roots and heritage have a distinctly American feel. Harry Winston pieces are certainly favored amongst many celebrities. As far back as Liz Taylor, celebrities such as Natalie Portman, Madonna, Helen Mirren, and Amal Clooney have donned Harry Winston pieces. Harry Winston opened his own business in 1920, with his first store in New York in 1932. However, jewelry was already in his blood. His father, Jacob Winston, emigrated to the US from the Ukraine and had himself started a jewelry store. In fact, Harry Winston was both made and born. At just 12 years old he spotted a valuable emerald and sold it on for a hefty profit. Perhaps the pricing strategy of the modern-day Harry Winston stems back to that original mark up! Harry Winston gained a reputation for being an exceptional craftsman. He took existing designs and redesigned them, acquiring new diamonds along the way. 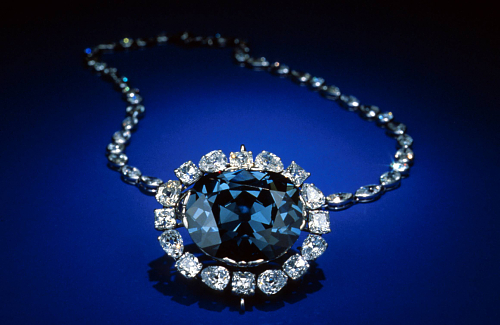 He became known for his notable diamonds, perhaps most importantly, the ‘Hope Diamond’. This is 45.52 carats in a mesmerizing deep blue. It was owned by royalty across the globe, until it came in to the hands of Harry Winston in 1947, before he donated it to the Smithsonian. Harry Winston’s name really is the company. He’s even reached musical fame being referred to in the song ‘Diamonds are a Girl’s Best Friend’. It’s possible to also link Harry Winston back to the early days of the tradition of giving celebrities jewelry for their red carpet experiences. There is a great deal to like about Harry Winston, but unfortunately pricing isn’t one of them. At the end of the day, my feel is that what you are paying for in a Harry Winston diamond is – above all else – the name. Now, that’s a slightly difficult pill to swallow when you know that there are other designers and retailers out there who will sell you an equivalent piece, of equal intrinsic value, for a considerably lower price tag. That’s where the problem lies for me. Furthermore, the pricing of Harry Winston pieces means that unless you really are up there spending the big bucks (and not just big bucks for you), then you’re really wasting your time. You won’t find an exceptional piece here for a price tag under around $75,000, and that’s a really big problem. I have no problem with a hefty price tag if the value truly lives up to it. That’s not what I felt here. Therefore, I recommend retailers such as Whiteflash. Here you can expect to get excellent quality and value for money whether you’re buying a $5k set of ear-rings, or an heirloom engagement ring for tens of thousands. So yes, I love the Harry Winston pieces if you’re in the market for a million-dollar-plus piece. For the rest of us, I urge you to look elsewhere. Exclusivity is where the Harry Winston experience really comes in to its own. There’s no doubting that the ‘High Jewelry’ items, encompassing the “Secrets”, “Winston Icons”, and “The Incredibles” ranges, are beautifully exclusive. They are distinctive and impressive. However, that said, we are only looking at the most extreme high end offerings here. There isn’t a huge amount of exclusivity lower down the value scales. So this is great if you’re extremely wealthy, not so great if you’re looking for a something with a slightly smaller budget but still want exclusivity. And the reality is that you shouldn’t have to compromise on this. Why not take a look at some other designers that far more affordable? Tacori, Michael M, Danhov and Verragio among many others which I recommend on this site. In essence, the Harry Winston name is the designer – The House of Harry Winston. They state that they design their pieces around the gems, rather than the other way around. However, this does mean that you don’t rock up to Harry Winston with your own brief and expectations for a custom piece. The custom piece happens, irrespective of you. They also only use platinum for their settings which does restrict things somewhat, but that said, you could happily say that each and every Harry Winston piece is a designer piece in its own right. 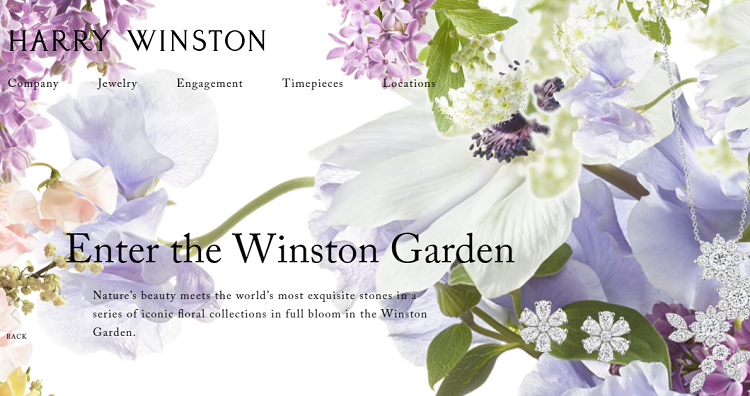 I have a bit of a love-hate relationship going on with the Harry Winston website. I want to love it. This is an exclusive historical brand and there are elements of that which come across in the modern medium that is the website. However, there are also elements of it which leave it looking very much like it came out of Programming for Dummies. I just don’t like menu bars overlaying factual content where I get frustrated by what I can’t easily access in a click. Also, I really do expect more information at my fingertips. It’s also very important to note that you can’t buy any piece online. You have to go instore. In the modern age this seems to be aiming at a prestigious experience, but not meeting with the reality of the majority of jewelry shoppers. This is my big problem with the website. The imagery is really very basic and poor for such an exclusive brand. I want to be able to view each piece from every conceivable angle. In an ideal world, I would also want Video Imaging, Ideal Scopes, ASET Maps and Hearts and Arrows images – I go into more detail about the importance of diamond imaging here. Perhaps the problem is that we have been very spoilt with the high-tech imagery from the likes of Whiteflash and James Allen, where you feel like you’re taking a stroll around the jewelry store itself. I suspect the imagery problem on the website is largely because efforts are put in to the display of the high profile pieces within the stores themselves. Harry Winston is, overall, an ‘in-person’ shopping experience, not an online one. Harry Winston gets a big thumbs up from me for customer service. Their customer approach is exemplary and it’s a shame that other areas of the business let it down; because going on customer service alone, this is the place to be. This applies to the physical bricks and mortar stores I’ve tried, and the online shopping experience. Harry Winston situates its stores in luxury retail spots, and their stores are the epitome of luxury. Believe it or not you won’t necessarily need an appointment. For a seasoned diamond shopper this did raise a little red flag, but there was actually no real need to be concerned. However, this contrasts with the luxury feel that you experience once inside. You’d be forgiven for thinking you’d be appropriately dressed here in a tux. However, in my experience, this won’t be matched with an uncomfortable attitude from the staff. In my experience, the Harry Winston staff have been very well informed themselves, and know how to explain information and how to meet expectations of even the most savvy jewelry shopper. This is actually quite a rare experience in shop staff, in my experience, and something I’ve only ever really seen before with the likes of Whiteflash and James Allen. I was pleasantly surprised. There is also a sense of authenticity in the information on offer. There doesn’t seem to be any attempt to bamboozle you with stats and facts which don’t offer anything tangible to your purchasing decision. Given that you are effectively looking at a single designer when you choose to shop at Harry Winston, you get a very good choice. 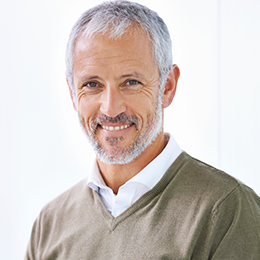 However, what you will notice is that the choice doesn’t compare to other retailers who use multiple and in-house designers such as Whiteflash , Blue Nile, or James Allen . Nonetheless the ranges are split in to two primary categories: ‘High Jewelry’, and simply, ‘Jewelry’. The three ranges within the High Jewelry collection are the red carpet offerings and wouldn’t look amiss at a presidential banquet. The ‘Jewelry’ collection contains a good number of individual ranges including the Sparkling Cluster, Art Deco, and New York Collection. Within each of these ranges there is further choice, and each also has a distinct artistry. From what I saw, the packaging is absolutely as you would expect from a brick and mortar high-end diamond purchase. It is beautiful, but I would expect that given these are the exact elements you’re paying for above and beyond the value of the diamond itself. The Returns Policy is a little sketchy for Harry Winston. With some deeper exploration in to the FAQ’s on their website they do allude to being able to return engagement rings within 30 days if the piece hasn’t been worn. However, it looks as though this might be for an exchange rather than refund. Thirty days of being unworn also potentially places the propositioning party in a tight spot when it comes to their own engagement agenda. My bottom line opinion of Harry Winston is that whilst I deeply respect the name, and the company, I could only comfortably recommend them to someone looking to spend in excess of one million dollars. They don’t represent value for money, or good choice, for the majority of diamond sales. For most people I would recommend the wider choice and fairer pricing of Blue Nile, or James Allen and if you’re looking for a higher quality cut then consider Whiteflash.